Geneivas Da’as in Hebrew involves the theft of one’s mind, thoughts, wisdom, or knowledge (Choshen Mishpat, 228: 6). By causing someone to have a mistaken assumption, or impression it includes fooling someone In other words, it is akin to deception, cheating, creating a false impression, and/or acquiring goodwill through false impressions/words and the like. It goes beyond blatant lying; which is a separate sin. A clever choice of words or actions that cause others to form incorrect conclusions may be considered a violation of this Issur. The Torah does not allow us to reduce the ability of another person, (Jew or Non-Jew), to make a fair and honest evaluation. This crosses business, interpersonal relations, or other areas where one may be deceived. It is common place in our politically correct world, as well as in competitive environments where people want to minimise damage to reputation to carefully craft statements describing a situation that has occurred. Details and purposeful ambiguity are employed. In particular, when it is known that there has been a wilful use of such “spin” to deflect from what actually transpired, I think that this forms Gneivas Da’as. The Tosefta in Baba Kama (7:3) considers the worst type of theft is the one that “steals the minds” of people. The Tosefta, Baba Metzia 3: 15, quoted by the Magen Avraham states that a storekeeper is not permitted to sprinkle their store with wine or oil because they “steals the minds” of people given that it may fool customers into believing that all the wine sold in the store is of the same high quality. This doesn’t involve a financial loss, so financial loss is not a necessary condition. Of course, there is a situation where one is fooling themselves and actually believes they are correct and don’t intentionally set out to “spin” or deceive. In such a case Chullin 94b we don’t apply Gneivas Da’as. I have seen some statements of late which in my opinion are simply Gneivas Da’as Kipshuto bordering on blatant lying. As it is Elul, I won’t take the opportunity to use one example and show explicitly how false and misleading it is to the extent that it steals the minds of those who are not in the know. Many frum organisations now have public affairs employees, and some of their staff are adept at producing spin. The purpose of this post is to alert people that they should actually ask a Rav whether they may be transgressing Gneivas Da’as. It is not always the case that the sole expert in a matter is the professional wordsmith. No. they can’t tell you about mundane issues like “chicken” and Kashrus and Issurei D’Orayso. To me, these are the new “Chiropractors of Medicine”. They call themselves Dr as well and they are as well qualified but not as well paid as unskilled labourers in Melbourne. What is it with titles, self-esteem, and the feeling that anything whatsoever will change that is outside millennium old Mesora. Nothing will change. Like Reform and Conservative, either Geulah will be upon us, or they will be relegated to the politically charged Women of the Wall and the Bernie Sanders New Israel Fund types. On Tuesday night, according to a report by Ynet, eight women received certificates of Orthodox Jewish ordination in Jerusalem and selected for themselves various equivalents to the commonly used “Rav” or “Rabbi” by males: some picked “Rav,” instantly making the title unisex; others went with “Rabba,” which would be the female conjugation of the male title, although the term is not in everyday use; some went with “Rabbi,” which in the genderless English grammar has been a common title for Reform and Conservative women clergy for decades. One preferred to go with “Doctor,” possibly recalling the shamanist attributes for which some Jewish scholars were once renowned. No one went with the prevalent “Rebbetzin,” presumably because to become Rebbetzin one doesn’t need to study, just marry well. The ordination was given personally by Rabbi Daniel Landis, a YU graduate who is the head of the Pardes Institute, an open, co-ed and non-denominational Jewish learning community, based in Jerusalem and operating programs worldwide. Landis is also a senior member of Rabbi Shlomo Riskin’s Center for Jewish-Christian Understanding and Cooperation (CJCUC). “I very quickly abandoned the ambition to achieve only rabbinic expertise, and moved on to the more important initiative of promoting you as creative scholars, with integrity, sensitivity and courage, who have access to the members of their generation,” Landis said. On Israel TV, investigative reporters clearly revealed yesterday that levels of ingredients were reduced (not abolished) when they were produced for Badatz and other “Heymishe Hashgachos”. The nutritional value, especially for children was compromised. It is of absolutely no business for a Kashrus agency (in this case also Belz) to dictate changes in amounts of ingredients unless it is a matter of bitul, which can’t be done by Jews anyway. The producer creates a product. It is either Kosher according to the published standards or it is not. I am aware for a several years of this practice occurring and it is nothing short of a Chillul Hashem, which has zero to do with Kashrus. I trust the OU over them any day. Another image had marketing for Limors Restaurant on Kooyong Road with a large photo of the establishment and even a menu! The story about Limors is this non Kosher restaurant that was allegedly serving pure treyf 7 days a week was advertising at one stage (about 2 years ago) that 6 days a week their breakfast was “Kosher under the supervision of Meir Gershon Rabi”. RMG Rabi hosted a sheva brochos for his own daughter, catered by Limors. We are aware of many people who were allegedly confused and ate in this restaurant, meals that were cooked with 100% non Kosher meat believing that this restaurant was fully under RMG Rabi. As most of the religious public do not accept RMG Rabi and do not eat a milchig “kosher” breakfast in a non Kosher restaurant serving 7 days a week, the arrangement between Rabi and the owner from Limors was allegedly suspended and according to Limor there was allegedly no Kosher food available for well over 12 months. In typical style “it’s Kosher”, in the marketing on its Facebook page, Limors was still there until 5 days ago! This is even though it was bought to RMG Rabi’s attention. Other images were RMG Rabi’s selfies of himself with staff of establishments he went to visit, and were removed. 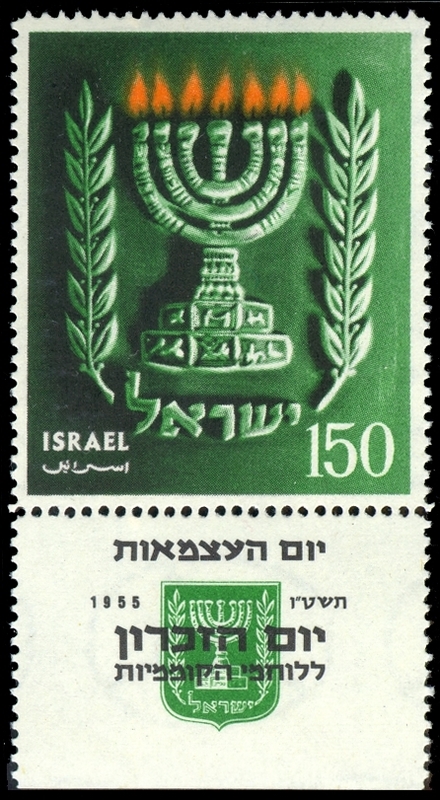 Some have complained that images were not even in accordance with Tzniyus standards. On the webpage of Kosher Veyosher/Its Kosher there are a number of pages of self promotion of RMG Rabi. These have now been passworded and are no longer accessible to the public. 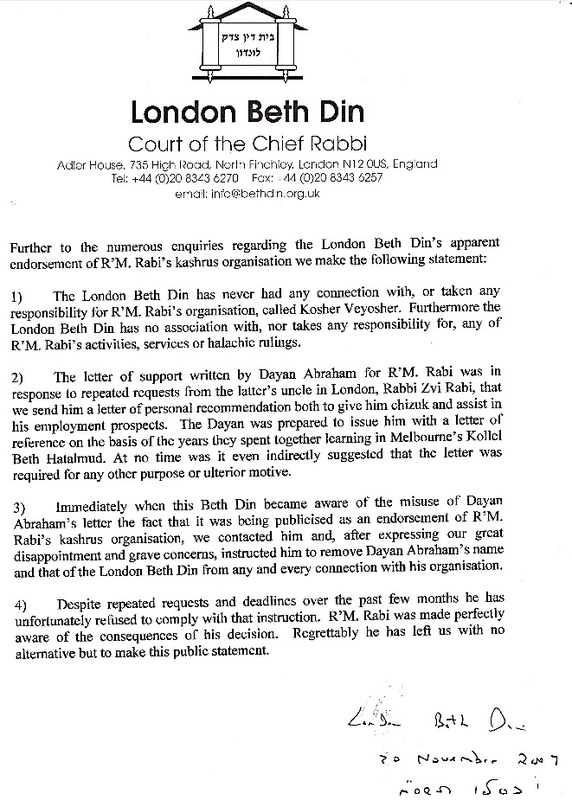 A reason that RMG Rabi’s promotions have suddenly been passworded as well as all images on his Facebook page, is likely due to a legal letter received by RMG Rabi warning him to immediately remove all pictures, comments, logos and names of their organisation and Rabbi as they are falsely being used by RMG Rabi to promote his business with Kalman Gradman. I received this by email, however, I have known about it for some time, having heard it from Dayonim in Melbourne and Sydney. In fact, the story gets worse than what is related here. I will leave it to other investigative types to find out what happened after this episode. Again, it confirms my (non Rabbinic) view that absolutely nobody should rely on RMG Rabi’s pseudo-halachic determinations and cosmic inventions. I’ve edited the quote below lightly and added a source. and was given a list of teachers who were approved by the Melbourne Beth Din. Shortly quite a number of concerns starting coming to the attention of the Beth Din. consulted and the unanimous decision was not to go ahead with her Geirus. Rabbonim would not budge and would not convert her as per Halachic advice from overseas experts. by the Sydney Beth Din either. Israel by a “do gooder” that the only person who could help to convert ### is a Rabbi called Meir Rabi. Within a couple of weeks of Meir Rabi meeting ### the conversion was, predictably, carried out. Micha’el is himself a convert which disqualifies him from converting others (see Bet Din Shel Yerushalayim (in Dinei Mamonot Ubirurei Yuchsin 7:416) where it is invalid even B’Dieved, after the fact). where she performed a dunking and they “baptised” her. 48 hours later in a hush-hush ceremony the couple were married. Suffice it to say, no Rabbinic authorities accept Rabi’s conversion. Are מומר לתיאבון types (hungry people) going to hang their coats on his hook and trust? Surely by now your eyes are wide open. Isn’t it time that the established and accepted and respected Kashrut authority in Melbourne was respected? PS. I note that a famous Arab West Bank Techina factory had its kashrus certification revoked by the Israeli Rabbanut, because of the dangers of Mashgichim coming unannounced to check on operations, and the Arab owner’s argument that they had comprehensive video cameras installed within the factory was rejected! For the last few days, the first thing I did when I got home from school was to open my email, but I have been disappointed every time. I don’t understand why Rabbi Chaim, the school rabbi, didn’t send me a reply, like he promised to do. Rabbi Chaim listened carefully to my questions and wrote down my email address, and he promised to send me an answer soon. But a whole week has already gone by, and I am disappointed to say that no answer came. So I decided to go to his house, pound on the table, and demand an answer. Rabbi Chaim greeted me warmly, and he showed me respect as an important guest. He told me to sit in the living room, and hinted to his wife Batsheva that he wanted her to bring us some refreshments. He sat down next to me and waited for me to speak as if he had all the time in the world to meet me. To tell the truth, the way he greeted me so warmly confused me a bit. If he has so much free time, why didn’t the rabbi send me an email, I thought to myself. But Rabbi Chaim looked surprised. “Oh, come on,” he said to me. “What does it matter if there is a period in the middle of the address or not? Don’t try to tell me that such small details are important! Doesn’t it seem funny to think that because of a missing period we can’t send mail back and forth between us?” Rabbi Chaim said this with a big smile, to show me that he didn’t really believe what he was saying. Rather, he wanted to teach me something about the significance of small details. What do you think, my readers? I am sure that you want to be form a link with the Creator of the World. So from now on, always make sure to remember the ‘tiny period’ and where it must go. This isn’t known, but try it. As such, I look at the above story, and unless I have misread, it’s Gneivas Daas and untrue. It does us no good. This latest post, which can be seen here, is verbatim. The following is from Rabbi Yisrael Rosen, Dean, Machon Tzomet. The mind boggles in regards those who approve the lowest level AND run it as an entrepreneurial private business with closed books, wealth accumulation and a dishonest attempt to work with Halal on the grounds that they might imagine they are the ‘authority’ to represent the majority of kosher consumers, most of whom reject such supervision. 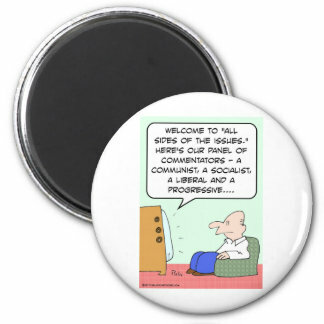 I agree with the feeling that the time has come for privatization in the realms of kashrut and other religious services (such as has been done with medical insurance and public transportation…). This would place the Chief Rabbinate in a regulatory role, “higher-level” supervision, giving approvals to those who directly supervise the kashrut, attesting to their honesty and their authority . Perhaps the Rabbinate should also be involved in setting the work conditions of the kashrut supervisors. With respect to the new organization in Jerusalem, I would insist on one other precondition – only groups that have proven experience in the field and that have attained public trust would be able to enter the arena as independent supervisors of kashrut. And there is another prerequisite: Transparency – the organization must prominently display the “kashrut elements” on which they depend, and which rabbis give them approval. For example, there might be room to accept rabbis who are willing to give kashrut approval to firms which do not observe Shabbat, while some people might reject them. Some would prefer to be stringent with respect to cooking in a restaurant by a Gentile, in accordance with the opinion of Rabbi Mordechai Eliyahu, while others may be more lenient, following the opinion of the RAMA (see Rabbi Ovadia Yosef, Yechaveh Dei’ah, 5, 54). Some will be willing to accept the “heter mechirah” for Shemitta, while others will not. Some will be stringent about milk of Gentiles. Many examples can be given. But the main point is that there should never be any room for deception and misleading claims. In the petition in Jerusalem, as long as the current law remains in effect and there is no regulatory mechanism, and as long as there is no “higher-level” supervision over the “private supervision,” the situation is indeed one of deception and misleading claims. The normal citizen, who is not aware of the ins and outs of all the power fights against recognized institutions, will tend to accept any “certificate of supervision” as if it was given by the officially recognized kashrut authority. Would we tolerate such sophisticated wording with respect to the ingredients of our food? Would the relevant government authorities allow “approvals” of this type with respect to health, security, or ecology, using very tricky wording? Let me add that rabbis who are not expert in the issues involved should refrain from giving Shabbat approval to eg hot water heaters or samovars, or to ovens. And this reminds me of the recent scandal of the “kosher switch” which is being promoted by a group in the United States. This “kosher for Shabbat switch” has received approvals by some very low-level rabbis but is rejected by all the rabbis of recognized authority. Just as it is unthinkable that approval by an amateur will be accepted in matters of security or health, so caution is needed for religious approvals. Thanks to Reb Meir Deutsch for his copyrighted contribution. שוקיו עמודי שש מיוסדים על אדני פז. ומעתה י”ל שגם לענין ק”ש כנגד נשים שהורגלו לצאת לרה”ר בגילוי הראש, וכל אדם העובר ברה”ר יראה כהנה וכהנה, ואין הרהור מצוי כ”כ בזה מרוב הרגלן בינינו, אין בזה משום שער באשה ערוה אע”פ שעושות כן שלא ברצון חכמים, דלגבי דידן הו”ל כבתולות שרגילות בכך. ושו”ר הלום להגאון מהר”ר משה פיינשטיין שליט”א בשו”ת אגרות משה (חאו”ח ס”ס לט), בד”ה ולכן, שכתב: וכבר הורה זקן הגאון ערוך השלחן שבזה”ז מותר לברך ולהתפלל כנגד שער נשים הרגילות לצאת פרועות ראש. Let us have pictures of landscapes, oceans and famous buildings. Why do we need pictures of people, if they are showing nothing (all blurred), or showing a picture made up and not a genuine one. I don’t have a subscription to Hamodia. Occasionally my wife buys it. One Erev Pesach I saw it at a shop and it looked so thick, I thought I might but it. In the worst, at least some might enjoy it. The problem is that nothing has changed. The paper is Sheker VeChozov. It is chock full of lies and unbridled revisionism. It is a paper of indoctrination for the Oilom Goilom who follow in single file. He abandoned his Munkatch way of life, stayed frum and his אם הבנים שמחה which was hidden from the world by his family for decades is now a classic that everyone should read and has been translated into English. But no. Hamodia told us everything up to that point. How could they mention the contents of that incredible ספר and the challenge it raised to the charedi establishment. So instead of reporting the truth, and teaching it the way it was from a גאון עולם a giant of the last generation, they decided “No, we won’t tell our readers that this man underwent an enormous transformation where he rejected the teaching than someone as great as the Munkatcher, and pointed out chapter and verse where he thought the Munkatcher was incorrect. This is the problem with Hamodia and the problem with Artscroll. They have no fidelity to the truth. Artscroll in its newly published מקראות גדולות had the Chutzpa and temerity to refuse to publish words of the Rishon, the Rashbam! They censored him. Hamodia is no different. They take their stories put them through the ‘Aguda Cleaner Solution’ so that everyone can only read a sanitised lie or half truth. There is nobody with any faults in Hamodia. Anyone who passes away was incredible, an impeccable Tzaddik. Tell it the way it was. Stop the stupidity of banning books by R’ Nosson Kaminetszky, such as the ‘Making of a Gadol’. On the contrary, when we see that people are people and not Malochim we stand a better chance to aspire to their lofty heights. Hamodia has created a monster: a self perpetuating ‘everything is beautiful’ monster in the frum world. It isn’t. There are pedophilles, adulterers, money launderers, fraudsters as well as the genuine article. Stop sanitising our underwear. Hamodia thinks we will be exposed to the real world and not get shocked at cattle prodding dayonim who take thousands to electrify someone till they give a gett. And they have the Chutzpa to complain about הגאון הגדול מאחיו מורי ורבי רב צבי שכטר when he invokes Rabbeinu Tam. They talk about “off the Derech” and the “Shidduch Crisis”. Maybe they should start pursuing Emes and stop hiding behind transparent bushes. I finished the article about R’ Teichtal and threw the paper away. I didn’t want to soil my hands with such blatant omissions which amount to ball faced lies and plain old indoctrination. Is Shlomo Sand lacking the vision of Bilaam’s donkey? Frankly, his job as a professor lends no credence to his views. They have demonstrably been shown to be false, if he opened his eyes and just looked at Israeli society. His is the sad wish of someone who wants to assimilate because then he won’t be from the “chosen people”. His Zayda would disown him. The most telling comment was his use of the word “occupation”. That gave it all away for me. Globalisation, my foot. If anything, the internet has strengthened my knowledge of Judaism enormously. His inane comment is as silly as the one I saw in Rabbi Donenbaum’s booklet over Succos where someone put in a dedication (anonymous! Why? Tzidkus, humility?) because his Chavrusa has turned the internet off on his iPhone. I have a better idea. Let his Chavrusa give me his iPhone and I’ll give him one of those old Nokias. The Yetzer Hora won’t even touch him that way. Anyway, here is the article reported about Shlomo Sand. I suggest he change his name to Steve Sand? “I wish to resign and cease considering myself a Jew,” he writes. Sand asserts that Israel is “one of the most racist societies in the western world” due to its strict characterization as a Jewish state. “Racism is present to some degree everywhere, but in Israel it exists deep within the spirit of the laws,” he says. Sand states his belief that the ethnic differences which have divided the world for millennia will become insignificant as the world moves more and more towards globalization. “The cultural distance between my great grandson and me will be as great or greater than that separating me from my own great grandfather,” he hypothesizes. The Tel Aviv lecturer has long been the subject of controversy. His 2008 book “The Invention of the Jewish People” claimed that the Jews were not a nation expelled from its homeland but a religion of converts spread throughout the world. The Jewish people as an ethnic group, he asserted, was a myth created by Jewish intellectuals in the 19th century. In a 2009 sequel, “The Invention of the Land of Israel,” Sand similarly deconstructs the Jews’ historical right to that land. Author pitputimPosted on October 11, 2014 Categories Anti Semitisim, Gneyvas Daas, Jewish Education, Medinat Yisrael, ZionismTags anti semite, Assimilation, Globalisation, Horse with no name, Israel, Self Hating Jew, Shlomo Sand, Tel Aviv UniversityLeave a comment on Is Shlomo Sand lacking the vision of Bilaam’s donkey? The following made the rounds. Of course, most reported them irresponsibility and with the usual anti Jewish venom. Some salient points. There is a footnote which is their own fodder for the masses and can be misread to be the words of R’ Kanievsky. There are plenty of Av Beis Din’s around the world who use smartphones. This has nothing to do with phones, it’s all about the improper use of the internet. Who has an argument with improper usage? My iPhone contains more Shiurim than I have time to listen to. Of course, toilet blogs like Scott Rosenberg’s blog and others, breed piranhas using such stories. They are irresponsible. They neither live, nor know about my world, and simply don’t have the information required. I didn’t ask them for their opinion, and am not obliged to do anything with their letter. There is no such thing as Daas Torah anyway. Speak to your Posek when you have a Shayla. That’s the way it was and ought to remain. The rabbinate is not known as a path to riches. But for several Israeli rabbis, it is just that. The ten wealthiest Israeli rabbis own a combined fortune of over $620 million, according to a recent ranking by Forbes Israel. Rabbi Pinchas Abuhatzeira is Israel’s richest rabbi by a long shot, with an estimated net worth of about $367 million. At 36 years old, he is also the youngest rabbi on the list. He inherited a massive fortune and a large following from his father, Rabbi Elazar Abuhatzaeira, who was murdered in 2011. The elder Abuhatzeira was stabbed to the death by a mentally disturbed follower to whom he had previously given marital advice. Superstar rabbis like Abuhatzeira can collect large sums in return for advice, blessings, amulets, and attending their followers’ family events. The father and son aren’t the only wealthy members of the family. Pinchas’ uncle Rabbi Yekutiel Abuhatzeira is Israel’s ninth wealthiest rabbi, with over $7 million, and his uncle David Hai Abuhatzeira appeared on the list last year. 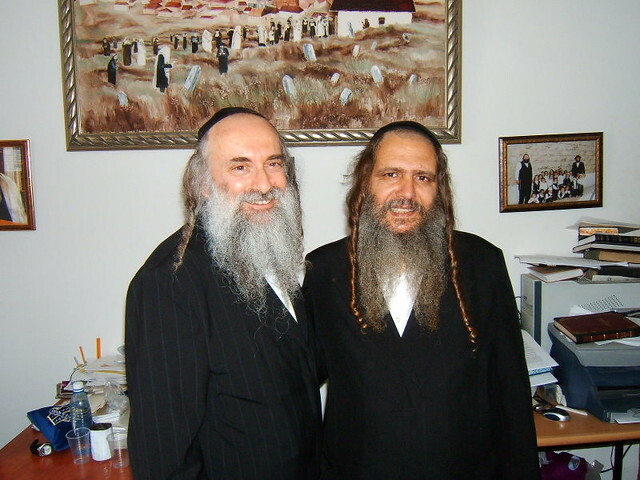 His cousin, rabbi and kabbalist Yoshiyahu Yosef Pinto (No. 7 on the list), is one of Israel’s most highly sought-after rabbis and directs an international network of yeshivas and charities. The police have also taken an interest in Pinto, investigating his finances and questionable real estate deals. Pinto and the three Abuhatzeiras are direct descendants of the famed Sephardi religious leader, the Baba Sali, who died in 1984 but is still widely revered in Israel. The Abuhatzeiras are not the only wealthy rabbinic family in Israel. Two members of the Ifargan family made it onto Forbes’ list: Rabbi Yaakov Israel Ifargan (No. 5) and his sister Rebbetzin Bruria Zvuluni (No. 10), the sole woman on the list. Popularly known as the “X-ray” rabbi, Ifargan supposedly can read people’s minds. Like Rabbi Pinto, Ifargan advises some of Israel’s most important businessmen and politicians – for a fee. The “X-ray” rabbi and his sister, who is sometimes known as “the CT”, collectively own for than $30 million. Two Hasidic leaders also made it onto the list: the Gur Rebbe (No. 2) and the Belz Rebbe (No. 3). 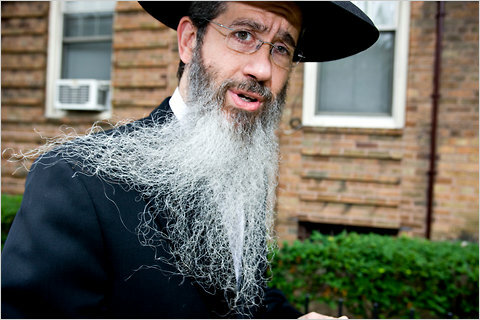 Both lead powerful Hasidic movements that were decimated during the Holocaust, but are now growing in population – and wealth. While a few ultra-Orthodox rabbis have done quite well for themselves, the majority of their flock lives below the poverty line. Nor are all Israeli rabbis as wealthy as these 10 well-heeled rabbis – most make modest salaries. No word yet on when we can expect a list of America’s wealthiest rabbis. Author pitputimPosted on November 12, 2013 March 10, 2014 Categories Gneyvas Daas, RabonimTags rabbis, wealth17 Comments on Does this rest easily? I have written about this topic before, in respect of R’ Elyashiv and his minders, aka מתעסקים, and Rabbi Rosen was pointed in the way R’ Ovadya was sheltered from the real world by those who had their agendas. There is a power struggle amongst the “Litvishe” style Chachmei Yisrael: R’ Yehuda Leib Shteinman and his supporter, the venerable R’ Chaim Kanievsky versus the more outspoken and bombastic R’ Shmuel Auerbach, a son of R’ Shlomo Zalman who is very unlike his father. Watch carefully. R’ Shteinman is fed all manner of lies about the non Charedi candidate for mayor in the hotly divided embarrassment, otherwise known as Beth Shemesh. R’ Shteinman, who is known for having a more sanguine outlook on life and those who are not yet frum, is basically bullied with lies, to condemn Eli Cohen. I found the video most disheartening. There can never be כפייה תדית, that is, the forced charedisation of people whom Hashem provided with free choice. Yet, the agenda is clearly to mistranslate the phrase ’לתקן עולם’ to be one of violent and unremitting pressure designed to “rid” Beth Shemesh of people who happen to choose their own way of life. Everybody knows that such facile attempts to “convince” people to follow a particular path is but a charade. It’s a charade in the sense that many protagonists act out the charade, and others follow suit simply to remain unbranded. Branding can and will mean ostracisation at least, and the leper-like treatment of their children in the future. I do not think that we can do much about it, except hope that any fraud in that election is revealed and that fraudsters are imprisoned. We must also interact with those who do live peacefully in Beth Shemesh, and who want nothing of the emigration of Neturei Karta to their city where that emigration denies them basic civil rights. I watched a wonderful video of R’ Ovadya’s youngest daughter-in-law, Yehudit Yosef. Again, I was thunderstruck by her description of his powers of concentration as he was learning. Even if there is a touch of hyperbole, I don’t doubt the story of her two year old son. Alas, I can’t find where I saw it. She was interviewed by a female student and it was broadcast on an Israeli Television station. Why the sudden fuss about “it’s kosher”? It has recently been brought to the attention of The Rabbinical Council of Victoria (RCV) that claims made by the local business ‘It’s Kosher’ on its website that its hechsher is endorsed by the Chief Rabbanut of Israel are both false and misleading. The Rabbanut has clarified that no such endorsement has been issued, and while it did approve one specific product some four years ago, this does not constitute an endorsement of the “It’s Kosher” hechsher. The Rabbanut further clarified that it has a policy not to approve any products under the supervision of this Hechsher. 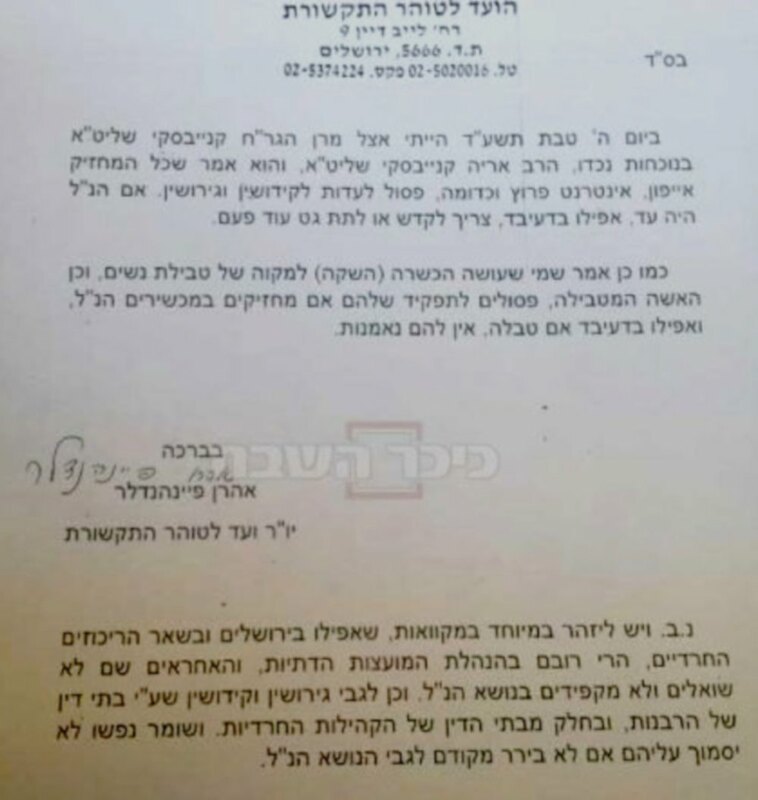 “Leaving aside the concerns expressed to the RCV relating to the Halachic standards adopted by the said business,” RCV President Rabbi Meir Shlomo Kluwgant said, “this misleading statement about the Israeli Rabbanut is deeply concerning to the RCV. If it is the case that the false statement was made to mislead and deceive the public by claiming that its Hechsher is supported by the Israeli Rabbinate, this would call into question the integrity of those running the ‘It’s Kosher’ business”. Anyone who visits the “it’s kosher” website knows that it is chock full of controversial attempts to convince the public into respecting the rulings of its halachic authority. We are told that this authority was “compelled” to undertake his work by Rabbi Rudzki ז’ל for the benefit of us all. Perhaps we can hear a little but about the separation? of finances and kashrus in his organisation. Does the supervising Rabbi/authority receive a wage which varies with the number of hechsherim/products for which he gives the nod? Where are the books? Are they open for all to see? Is there a lay board with no financial interest? Who are the financial beneficiaries of this business? Did R’ Rudzki also run his own supervision business this way? This gives new meaning to the term השגחה פרטית. There is more to be said about this business. Did its halachic authority seek (unwittingly?) to give a financial boost to Jews who have a half treyf shop which is also open on shabbos when simple yashrus would have dictated that this is a basic unfair advantage over Jews who try to provide a similar product which is kosher and only kosher and is not profiting from Trayf on Shabbos. Is this the meaning of “Yosher”? Remember, the website for that authority claims in the FAQ that there are no Divine Laws, only Divine Principles. PS. There is no halachic difference that I can understand between writing God, Gd and G-d. I am not sure why people persist on doing that (eg on their kashrus business website)? Enlighten me. Author pitputimPosted on August 22, 2013 August 22, 2013 Categories Gneyvas Daas, Halacha, KashrusTags "It's Kosher", Koshe V'Yosher, Rabbi Meir Gershon Rabi65 Comments on Why the sudden fuss about “it’s kosher”? Anyone who doubts the childishness and the lack of ethics and decency of Scott Rosenberg’s blog, should note (as I was advised last night by my children) that this person purposefully wrote my surname as Baalbin. Don’t think this was an innocent mistake. Why? Because Scott thinks he is being clever by referring to the “prophets” of Baal. Well, Scott, this isn’t clever, and it is indecent, and if I could be bothered, I’d report you to some journalistic ethics board. This is why your blog, especially the unfettered disgraceful comments you purposefully allow (and disallow) is considered contemptible. But, you will get hits using these little tricks, and make money from this activity. I guess it pays your bills, Scott? I have a day job (and night job). I have a lecture to prepare. I don’t really have the time to deal with scurrilous nonsense, so I will be brief. Organisations, though, need to be very careful with their words and claims. It is relatively easy to lose credibility very quickly. That’s not to say they shouldn’t speak out. That’s an entirely different matter. I don’t allow ad hominem attacks on this blog. The purpose of this blog is multifarious as can be seen by the range of topics I choose to write about. In trying to discredit me, however, I had to laugh with angst at claims and descriptions put out by Tzedek. I’m ultra-orthodox. Well, let’s see. Where do I start. My Rabbi isn’t. He advises me on halachic matters. He is shunned by the ultra-orthodox and described as modern orthodox or centrist orthodox. He is a world-class Talmid Chacham but the Aguda don’t even let him speak or sit on a dias at Daf Hayomi Siyumim. He sits at the back on a normal table. It’s a bizayon Talmidei Chachomim. He can learn better than most of them on the dias, but because he is not considered ultra-orthodox, he has no place! I have a PhD, which means I spent many years of my life studying in a University. That’s a no no. Worse, I’m still there. I teach secular topics—Science. I even use the internet, constantly. I use social media. I have a blog. All these are forbidden by ultra orthodox. But wait, it gets even worse. I run a band which plays non-Jewish music and this is to crowds who are mixed dancing. Guests aren’t dressed modestly either, especially in the warmer months. Read my posts on Israel and related matters and see if I’m closer to Zionism than “non” or “anti” Zionism—hallmarks of ultra orthodox. Read my critique of the extreme groups. Yes, I have to unashamedly try to keep Torah and Mitzvos, but if that’s the definition of ultra-orthodox, then I guess many of us are damned by Tzedek. Tzedek’s CEO’s own father is “ultra-orthodox”. Does he describe him as “my ultra orthodox father”. Why do I say, “damned”? Because it is entirely irrelevant what shade of white, black or grey somebody is unless you believe in strange conspiracy theories that people who are lumped by Tzedek into some category (which they don’t define) are likely to be so dumb and stupid, that they will hide the truth or protect people from that same “Tzedek category”. Sorry, this type of characterisation is Grade 1 level. Does the CEO preface his remarks about someone defending homosexuality as saying “Homosexual Joe Jones said …” that’s simply boorish. It has no credibility as far as debating logic is concerned, let alone, in my case any resemblance to fact. It is a transparent and poor attempt to deflect from the lack of research conducted by Tzedek on the matter of Rabbi Brander’s visit to our shores. Did Tzedek actually ring a roof body, all of whom reacted with probity after reading some of the toilet blog posts and their comments? At the risk of repeating myself, there is no such thing as a Gzera Shava for people, to the extent that if one does belong to a group, that they are thereby tarnished ipso facto and have lost their independence of thought and action. 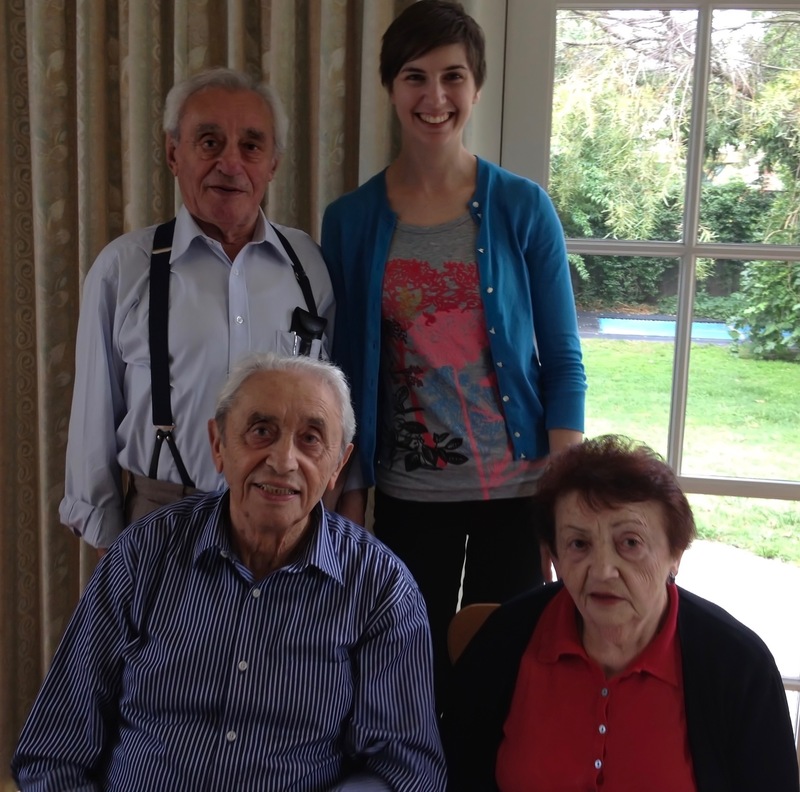 There is no better proof of that than Tzedek’s CEO’s own father. Is he tarnished because he is Chabad? Why not? Answer: he has his own views and expresses them. A contradiction to the implied thesis in the CEO’s hyperbole. But …. maybe I am ultra orthodox in Galus Australis style, simply because I don’t eat at Lord of the Fries or similar establishments? The mind boggles. I’ve been criticised because I sit on a Shule board, one of whose ex-members is now facing proceedings. I understand that the CEO of Tzedek is alleged to be one of the victims of said ex-member. Well, hello there Tzedek. Your CEO and his father (and indeed readers of my blog) know very well that it was me who initiated the removal of said ex-member from the board. Do you not remember my father הכ’’מ asking me to take a post down because he thought I should not get involved! Let’s go further. I even had an attempted intervention order (later withdrawn) placed out on me by the aforementioned ex-board member now facing trial, because I was “in his face” so to speak. Tzedek, you have the wrong address. But it’s worse than simply having the wrong address. What’s really worrying, is that (a) you actually know you have the wrong address on such matters, and (b) had you even bothered to ring a single board member of my Shule, they would have told you this. Indeed, ring the accused’s father! Go on, do us all a favour and return with your findings. On the matter of the COSV and the accused’s membership, again, Tzedek is so far off the mark, it’s really sad that this fact demeans Tzedek terribly. I was present when the conundrum was raised, and frankly, Tzedek ought to have been proud, of the attitude of each member of that executive and individual Shule Presidents. But, let us not let the truth get in the way of Tzedek’s tirades, hyperbole, and one liners in the press. A pattern is emerging with Tzedek, and it’s a very sad one. It is turning people off Tzedek; people who used to look up to them. Their raison detre is brave and important, but their execution (sic) due to poor research, questionable leadership and the emotive untruths expressed by its leader(ship) is damaging its credibility. That would be a great shame. I don’t have a clue if any member of Tzedek’s board read my blog, so my words may be in vain. By all means, someone please pass on this blog post to each and everyone of Tzedek’s board members. I would be most happy to meet them in my house at a time of their choosing, and properly explain what is wrong and my thoughts on how it can be fixed. Have a nice day, everyone. I hope to! My defence of Rabbi Broyde in the context of understanding why some people assume pseudonymous identities may be misplaced. Time and evidence will tell. See the article (reproduced below) by Steven I. Weiss at the Jewish Channel. A new investigation by The Jewish Channel suggests a deception related to Rabbi Michael Broyde’s academic work that academic ethics experts say would represent a much greater breach of academic ethics than the revelations from a previous investigation published by The Jewish Channel on April 12. The Jewish Channel has previously revealed that Rabbi Michael Broyde — a prominent rabbi who was reportedly on the shortlist to be chief rabbi of England and is a law professor at U.S. News & World Report’s 23rd-ranked law school at Emory University — created a fake professional identity, Rabbi Hershel Goldwasser, that Broyde used over the course of nearly 20 years. The Goldwasser character joined a rival rabbinic group and gained access to its members-only communications, to argue with other members of that group under the fake identity, to submit letters to scholarly journals that in some cases touted his own work, and engage in other scholarly deceptions. But a second identity uncovered by The Jewish Channel might have gone farther down the road of academic misconduct than did the Goldwasser character. The second identity, claiming to be an 80-something Ivy League graduate and Talmud scholar in 2010, alleged he’d had conversations with now long-dead sages in the late 1940s or early 1950s. The alleged conversations were used to produce a manufactured history of statements from long-dead scholars that buttressed an argument that Broyde had made in a highly-touted article published in a peer-reviewed scholarly journal. Broyde, in a later publication, subsequently quoted this second identity’s alleged findings as further proof of his original argument. But whereas numerous rabbis have explained to The Jewish Channel that the requirements of a rabbinical court judge include having a reputation for unquestioned integrity and honesty, several academic ethics experts have explained that the standards for university professors are different. Broyde’s conduct revealed in The Jewish Channel’s previous reporting thus far is less clear as a violation of academic standards for professors, these experts say. However, if Broyde created this second identity and alleged historical evidence, that would “clearly be false scholarship” and “clearly require disciplinary review,” according to Professor Celia Fisher of Fordham University, where she is director of the Center for Ethics Education. Broyde did not reply to multiples e-mails or to multiple voicemails at both his office and mobile phone numbers requesting comment for this story. This second identity involves a 179-page article by Broyde published as a special supplement of the scholarly journal Tradition in the fall of 2009. A prefatory note to special supplement expresses thanks from the editors of Tradition to two entities, one of which is Broyde’s employer, the Center for the Study of Law and Religion at Emory University, where Broyde is a senior fellow. The two entities “funded this special supplement, thereby enabling Tradition to publish a worthy article that we would not otherwise have been able to print because of considerations of space,” the editors write. Broyde’s article generated significant controversy within the Orthodox rabbinate and in Jewish scholarly circles for its detailed historical argument suggesting that the dominant view of past rabbinic sages was that married women might not need to cover their hair in public in order to conform to Orthodox Jewish law. Tradition received multiple letters in response to the article, both supporting and opposing Broyde’s argument. Two of the letters supporting Broyde’s argument aroused editors’ suspicions about their authenticity. 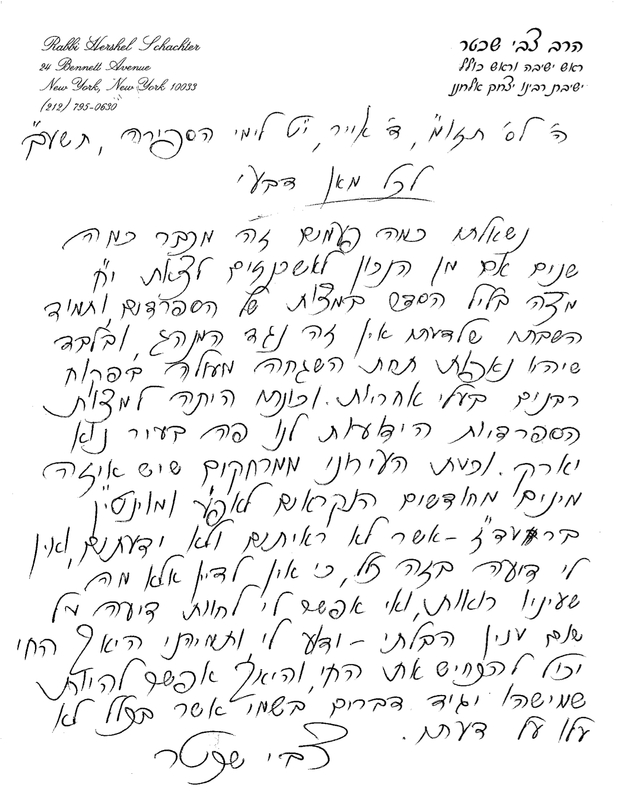 Someone claiming to be David Tzvi Keter wrote one of those letters to Tradition from a Gmail account, establishing a biography in which he claimed he had “moved to Israel in 1949 after graduating from Columbia,” and that he then went on to learn at one of the most prestigious yeshivas in the world at the time, Jerusalem’s Etz Chaim yeshiva, under a major sage of the time, Rabbi Isser Zalman Meltzer. The Keter character then goes on to provide a history in which he gathered the oral testimony of several prominent sages of the mid-20th-century on the topic of women’s hair covering. His letter provides their comments 60 years later to add them to the historical record Broyde had been analyzing in the Tradition article. The Jewish Channel has been unable to find any evidence of David Keter’s existence. Columbia University has no records of a student named David Keter in the 1940s, nor does it have a record for any student having an English version of that name, David Crown, in that era. The Association of Americans & Canadians in Israel, founded in 1951, as “the primary support organization for immigrants to Israel from North America,” has no record of David Keter in its database. According to a director of the organization, Josie Arbel, “in the early years was very inexpensive & automatic,” and “all olim [immigrants] arrival info from the Jewish Agency went into our database.” However, it’s possible that someone from 1949 never made contact with the organization, despite the relatively few such immigrants who were in Israel at the time of the organization’s founding. All but one of the four men named David Keter listed in Israeli phone directories going back to 2003 told The Jewish Channel that they were born in Israel. The family of the David Keter who could not be reached told The Jewish Channel that he died more than 8 years ago, and was also born in Israel. The only public record The Jewish Channel could find of a David Keter who was not born in Israel was a 1961 Hebrew newspaper article about a lawyer and yoga aficionado who had just emigrated to the country from the United States. The article said that the David Keter who was a subject of their article had changed his name from Isaac Dowd. Columbia University has no records of an Isaac Dowd attending Columbia University in the 1940s, either. Brandeis University Professor Jonathan Sarna told The Jewish Channel that new immigrants to Israel were frequently featured in the English-language Jerusalem newspaper of the time, The Palestine Post. A search of the online archive for the newspaper produced no mentions of anyone with the last name of Keter. The Jewish Channel was unsuccessful in trying to get government sources to determine whether David Keter ever received a national identity card, which Israeli law requires every resident of Israel over the age of 16 to carry at all times. Without more identifying information about Keter, the sources said, a search could not be completed. The Keter character provided a fake home address to Tradition editors when they sought to engage him in follow-up correspondence to his original letter. Keter responded with an address and phone number, but Tradition’s editor, Professor Shalom Carmy of Yeshiva University, did not recall doing anything with this information. The Jewish Channel investigated Keter’s phone number and mailing address in 2013. The phone number Keter provided to Tradition in 2010 today leads to a message that it is a non-working phone number. The Jewish Channel has been unable to obtain records for the phone number going back to 2010 to determine who, if anyone, once held that number. That address the Keter character provided to Tradition consists of two lots. According to property records obtained by The Jewish Channel, the current owners of the two lots have owned those properties since 2002 and 2007. Owners of both properties told The Jewish Channel that they have resided there since their purchases and have never met anyone named David Keter, nor any man living in the area who was Orthodox or born in the United States. A next-door neighbor who told The Jewish Channel she has lived in her home since 1996 said that for as long as she has lived in her home, no one named David Keter, nor anyone born in the United States or who is an Orthodox Jew has lived nearby. The small town of Maalot Tarshisha, population 20,000, consists mostly of secular Jewish Russian immigrants, with an additional 20% of the population being Arab. The head of the local religious committee for the time period Keter claimed to have lived there, Michael Hazan, told The Jewish Channel that he’d never heard of a David Keter. Unlike the Hershel Goldwasser character revealed by The Jewish Channel in an earlier investigation, the David Keter character does not claim to know Broyde — but Broyde did claim to have spoken to Keter. In the months after Tradition chose not to run the Keter letter in January 2010, various outlets were publishing responses to Broyde’s controversial article. In September 2010, the Jerusalem-based Rabbi Yehuda Herzl Henkin sent a response to the proprietor of the Orthodox Jewish scholarship website Hirhurim, Gil Student, that was critical of Broyde’s article, declaring in part that “Rabbi Broyde’s core position…is untenable.” Henkin told Student that he had originally sent the letter to Tradition, and that the journal had not published it. In the days after The Jewish Channel’s investigation of Broyde was published on April 12th of this year, Student specifically asked Broyde whether Keter was a real person. Broyde responded that Keter is real, as Broyde had personally spoken to him by phone. In a later conversation, Broyde told Student that Keter had given Broyde access to Keter’s Gmail account, and that Broyde had edited Keter’s original letter before sending it to Tradition. Gmail accounts, unlike the Hotmail account used by the Goldwasser character, do not include the Internet Protocol, or IP, addresses of those sending messages from Gmail in their metadata. Student published Keter’s letter on Hirhurim in September 2010, and soon thereafter heard from readers, including editors at Tradition, about the factual concerns regarding Keter’s letter. Once in Israel, Keter claims to have studied at one of the most prestigious yeshivas of its era, which would usually require years of high-level Talmud study instead of schooling on secular subjects at an Ivy League University. While Meltzer’s yeshiva “certainly had taken American students” in the first half of the twentieth century, “they would tend to be people who went to Yeshiva Etz Chaim in America or another yeshiva, and then gone off,” instead of having gone to university. That such an exceptional figure would then never be heard from in the field of Jewish scholarship, until he wrote a single letter 60 years later, struck many scholars contacted by The Jewish Channel as extremely odd. “So off I went” to meet those rabbis, Keter declares. Keter’s letter then cites responses from Gershuni and Auerbach that are broadly consistent with what the historical record reveals. As improbable as scholars find the overall narrative of the man named David Tzvi Keter, the letter itself contains a false detail that suggests Keter’s story is untrue. Scholars suggest it was extremely unusual that an Orthodox Jew would have attended Columbia University in the 1940s, and indeed Columbia University has no records of this man. They also find it extremely unlikely that a man who was so well-versed in secular learning that he could attend Columbia could also develop the Talmudic skills to be immediately accepted into an exclusive yeshiva just after graduating college. But the stories about the new history provided by Keter raised questions, as well. Scholars questioned whether the chronology suggested by the letter was consistent with recorded history, and whether the historical statements Keter provided were reflective of the long-dead rabbis’ actual attitudes — especially those regarding Shach. And indeed, in one detail in the letter, Keter includes a historical inaccuracy that reveals his narrative could not have happened as Keter claims it did. The author says he “moved to Israel in 1949″ before his rabbinic adventure began. All four rabbis Keter claims to have spoken to were in Israel then, but Gershuni left Israel for the United States shortly thereafter, in 1950, according to a 2005 memorial book edited by Itamar Warhaftig, Afikei Yehuda. However, the conversation with Shach that Keter relates could not have happened until 1952, two years after Gershuni left Israel. Keter tells of Shach saying that “his wife had not covered her hair in Europe or while he was learning at Etz Chaim,” but that things changed for Shach when he became an instructor at a different yeshiva. “Now that he was at Ponevitch she certainly did cover her hair,” Keter claims Shach said. Shach only started teaching at the Ponevitch yeshiva in 1952, according to a 1989 biography of the rabbi by Moshe Horovitz, HaRav Shach Shehamaphteach Beyado. 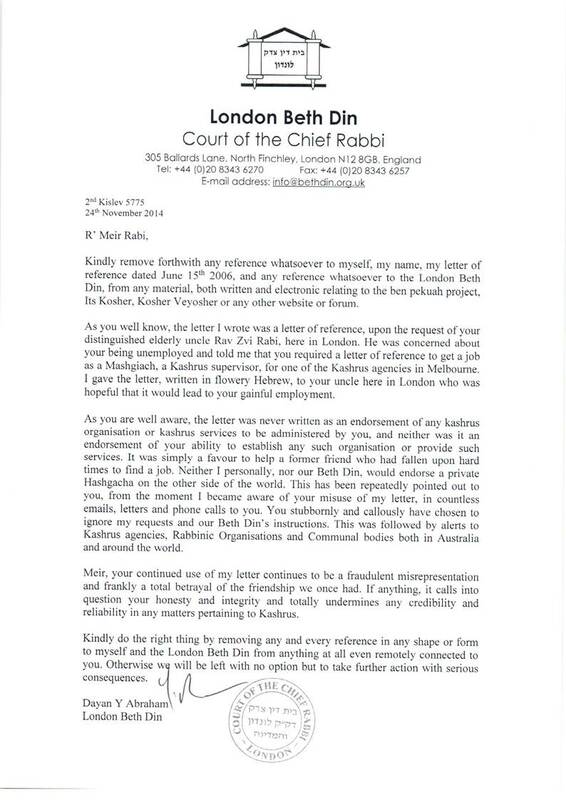 In October 2010, Student, the Hirhurim editor, gathered various of the factual objection to Keter’s letter and asked Keter about them in an e-mail. Student also mentioned in the e-mail a result of Student’s correspondence with editors of Tradition after he published the letter, that a nephew of a Tradition editor then studying in Israel wanted to meet Keter. Why do some people assume false identities? One of the by products of the internet, is that it is easier to hide behind a screen and comment. This presents a challenge. I doubt there is anyone who hasn’t succumbed on rare or not so rare occasion to issuing an “Anonymous” comment, or a comment from “Yogi Bear”. That is one level. A lower level is when you imitate somebody else’s identity, and the someone else actually exists. This is clearly far more insidious, because not only is one hiding their true identity, or assuming a fictitious identity, they are pretending to be someone else. This is clearly universally unacceptable. Academics, in particular, face perhaps more pressure to hide behind a screen. Gone are the days when an academic was free to express their opinion on any matter, especially those in which they have expertise, without fear of repercussions. Furthermore, the newly focussed environment of publish or perish has created its own unnatural Yetzer Hora for academics. I vividly recall a fellow PhD student who had managed to publish about ten academic papers by the time he was ready to hand in his PhD. I had published 2 Journal papers and 2 Conference papers, and I thought I had been doing well. I recall looking at some drafts on his desk, and perusing these. What I saw was the “one” result, recast in different and deceptive ways, and sent to different forums, where neither forum would be aware of the other, let alone previous papers ostensibly in that area. I thought he was engaging in an academic fraud. My view was shared by other PhD students, but we didn’t say anything. Bravely, when he went to submit his PhD, the checks and balances were applied, the University refused to allow him to submit his PhD, despite that he had ten publications to his name. His supervisor was oblivious and also at fault, no doubt. Pressure builds on intelligent people. They have important things that they want to say, and they await reaction with a sharpened pen to defend themselves or their standpoint. They often find it more difficult to remain silent. The bubbling of the intellect is a force that sometimes forces its way through. This is an ethical value derived from an attachment to Torah. That’s not to say, of course, that others are unable to be similarly ethical without having learned Torah, but for the Soloveitchik family, abhorrence any of falsehood was in their DNA. At the end of the day, one could argue, what would it have mattered. Unless someone proved that there were errors in the R’ Chaim or the Rav’s logical analysis one might be tempted to “let it go” and take the attitude “It doesn’t matter, it doesn’t change anything”. Academic life has changed enormously. While once we could pursue what was of interest to us, and do so with all the tenacity (and sometimes vitriol) we could muster because we believed in what we had written, today, elements of government ineptitude have imposed themselves on many academics. These budgetary pseudo-justifications are premised on dubious metrics and so-called “quality” outcomes, most of which are simply untrue. Academics will now often not speak out, for fear of upsetting their line manager, or someone higher up. They may accept papers that they should not have accepted for ulterior motives. They often adopt the attitude of “you do me a favour and give me a glowing reference, and I’ll do likewise”. This has happened because they are now under the same KPI-driven system which in essence is anathema to a free intellect that finds expression best when they are unencumbered. An obsession with metrics and management layers has introduced an unnecessary bureaucratic yoke. Witness the growth of a metric system designed to measure one University against another, and one academic against another. Frankly, in most cases, I and most others find these metrics faulty, inconclusive and game-playing. There are academics I know who have written a seminal paper that appears as a standard reference in every text book, and are otherwise not considered “influential”. Yet, there are others who have published hundreds of papers, and if one tried to summarise in one paragraph what they had contributed to the field, it is too hard because it can’t be written down. I have met and had dinner with Rabbi Professor Michael Broyde. He is a quiet and unassuming gentlemen who portrays almost no ego. I found and find him to be committed to Torah-learning in a profound way. Yet, he was identified in a recent imbroglio and caught sock-puppeting over a number of years by using the alias of “Rabbi Hershel Goldstein”. The part of his sock-puppeting that disturbed me was the alleged praise by Hershel of Broyde’s essays or comments. This aspect reveals a man who either has a low self-esteem or is full of himself. I suspect the former based on my observation. That he has been suspended from the Beth Din of America is appropriate. I would like to think, though, that in time, he will return there, after Teshuva. If HKBH accepts Teshuva when it comes from the heart via action, then so should we. I hope his University doesn’t come out too viciously in dealing with his actions. Yes, he did the wrong thing, and yes, he should be counselled. I do not, however, want to see the disappearance of Rabbi Broyde from the landscape of Torah learning and academia over these issues. He hasn’t stolen from or abused anyone. He made some very poor errors of judgement. This can be corrected. He isn’t the first or the last. 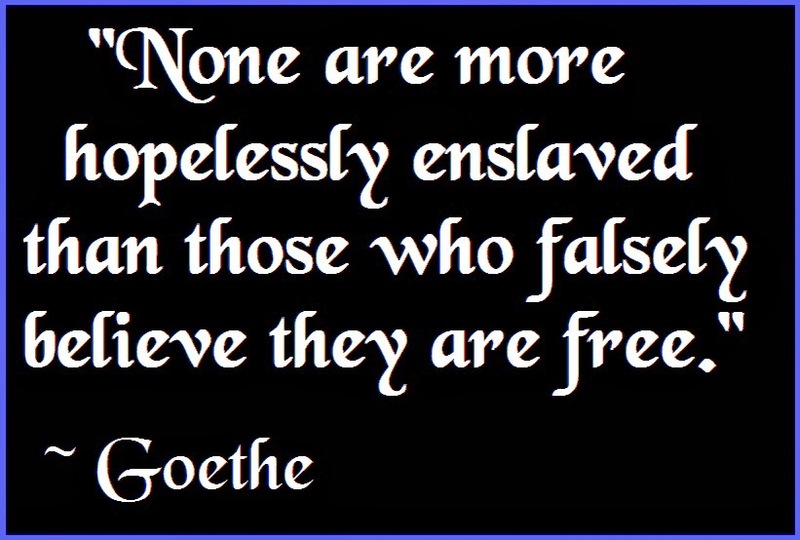 Consider: John Locke, Voltaire, Lawrence Sterne, Benjamin Franklin and many more. Raphael Golb is a more recent example. Author pitputimPosted on April 23, 2013 Categories Gneyvas Daas, HalachaTags Academic integrity, Beth Din of America, Hershel Goldstein, Rabbi Michael Broyde, sock-puppetting13 Comments on Why do some people assume false identities? By now, at least Australian and British people are aware of the tragic story regarding a prank call initiated by two Australian radio jockeys, after which a nurse committed suicide. “When they did this they had no intention to cause harm, it was a harmless prank,” he said. I have certainly pranked and I would guess that many of us have done likewise. Who can forget the “Smile, you’re on candid camera” TV series. Those who us who are old enough were glued to the set to see how the “victim” would react when they realised that had been duped. There is no doubt whatsoever that the two Radio hosts were convinced that their prank call was utterly without malice and could not cause any harm. Yet, as sometimes happens, sadly, one person took it to heart, and committed suicide. We know that people who commit suicide generally suffer from a psychological malaise. In Halacha, this fact is also used to allow such sad people to be buried amongst the rest of the community. I understand that psychologists estimate that over 80% of those who commit suicide had a pre-existing condition (which may or may not have been manifest to others). The nurse who committed suicide may have been from the 80% or may have been from the 20%. One thing is certain, the radio hosts did not perform an act that people would have called outrageous. Until the Nurse committed suicide, it was considered a funny episode. Nobody complained. I understand that even the Royal Couple thought it was funny. One person didn’t think it was funny, and she killed herself. What would Halacha say about this? Again, I’m no Posek, however, using the dicta of מדבר שקר תרחק and גניבת דעת one could conclude that their actions were not acceptable. That being said, I do not know if the damages, the נזק, which resulted, viz the loss of life is something they would be responsible for. I’d have though that at worst, they would be able to live in an ערי מקלט, a city of refuge for those who accidentally caused the death of another through some negligence. We’d need to show negligence, however, as opposed to a lack of truthfulness. One side of me said to stay silent and not blog since blogging would serve his purpose. The other side said to blog but only in order to encourage people NOT to get involved in facebook and other forums where the human headline will purvey his latest feather salvo. Don’t engage him in discourse; you waste your time. Don’t react and don’t provide fodder for next week’s ‘screaming headline’ in the AJN. The story is made up of three sections, all of which are true according to R’ Brody. They happened to three different Breslaver Chassidim. To combine these into one story is to say that it is both conceivable that this could occur to one Chassid, but most importantly, that this is one approach to pursue when confronted with such a situation. It isn’t the whole truth, but it is certainly truthful. I’m okay with it.